The museum needed more space to show its collection of modern art and host exhibits of current work. 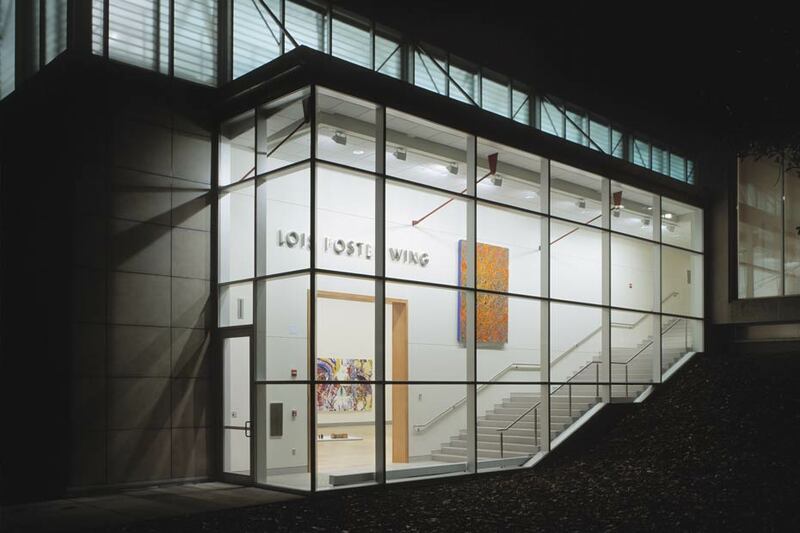 The Lois Foster Wing makes a new place for art. 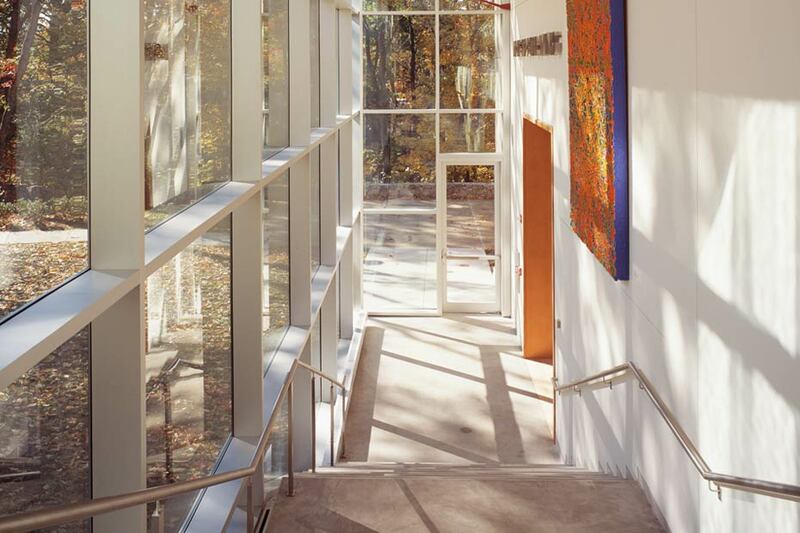 Highlighting the art to be visible through glass and large openings enhances the idea of transparency and accessibility. Halogen fixtures wash the introductory exhibit, which serves to welcome visitors. Halogen wallwashers and object lights with ultraviolet filters accent the works of art with excellent color rendering and precise optical control. 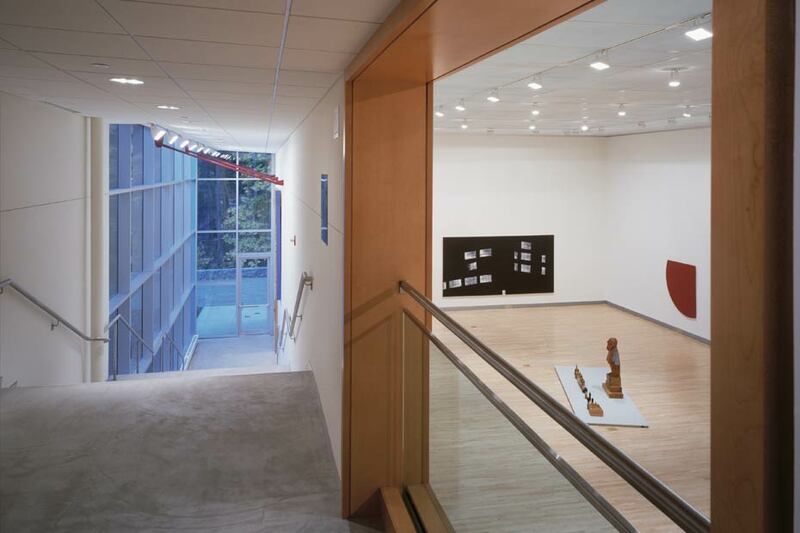 The new wing brings diffuse ambient light into the gallery from natural and artificial sources, to provide general illumination and to control contrast. Direct light from a track system accents works of art. 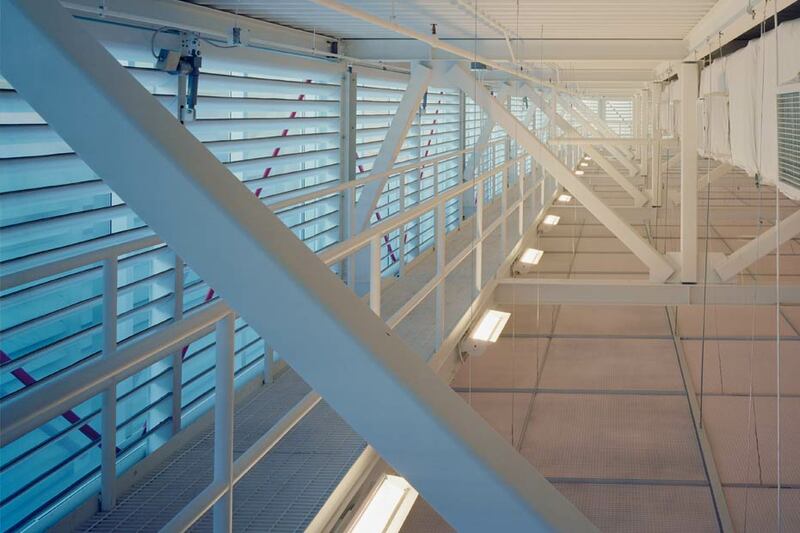 The clerestory motorized louvers can be adjusted by a curator with manual switching to suit the sky condition and conservation needs of a particular exhibit. 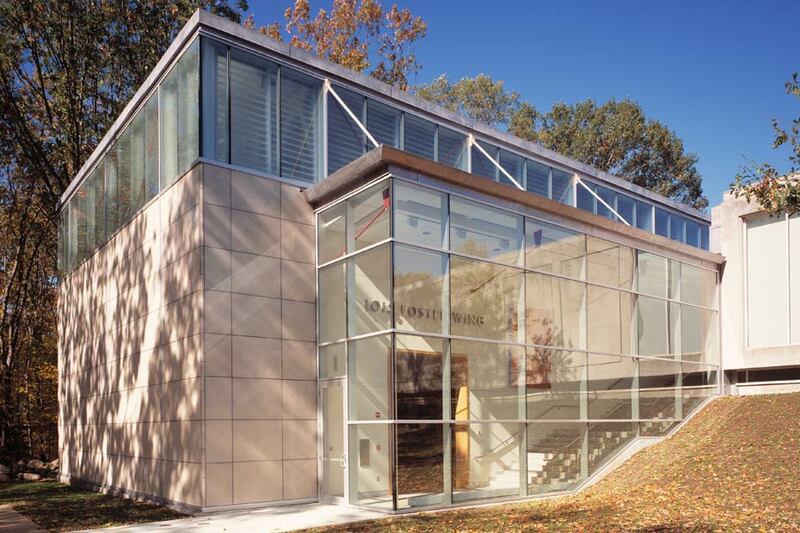 The addition to the Rose Art Museum brings a minimalist aesthetic to complement both the original International Style building and its impressive collection of 20th century art. 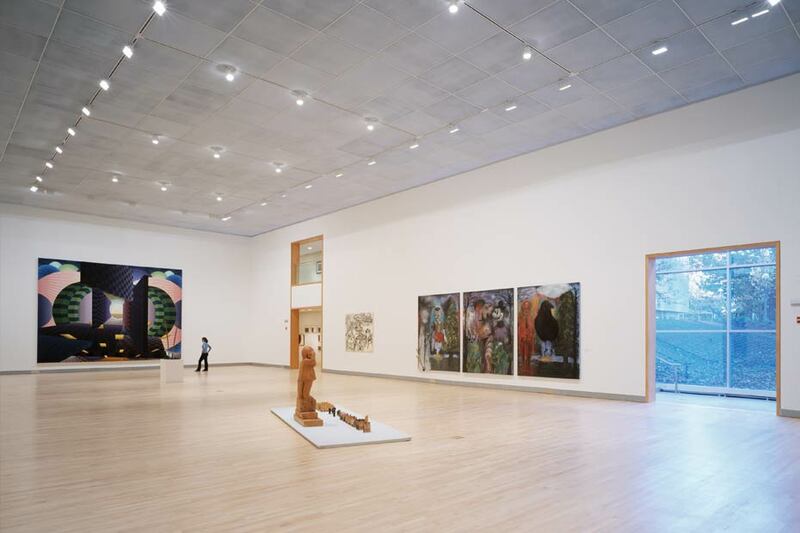 The crowning clerestory modulates both natural and artificial light to produce diffuse ambient illumination with special glass, adjustable louvers, indirect fixtures and a finely scaled louver ceiling while protecting the artwork with filtering and controls. With daylight and views the composition references the idea of an artist’s studio and updates the notion of a modern art gallery.